Deputies are searching for the driver of a pickup truck who may have caused another truck to crash into a house in Raymond. 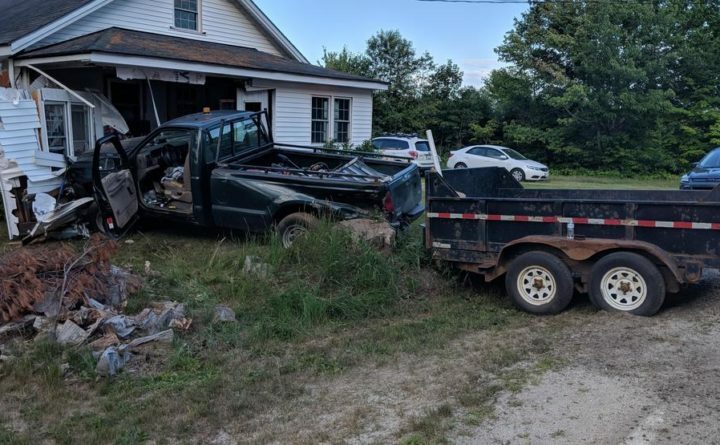 RAYMOND, Maine — Deputies are searching for the driver of a pickup truck who may have caused another truck to crash into a house in Raymond. Fifty-three-year-old Anthony Ganem told Cumberland County Sheriff’s deputies he swerved to avoid a red pickup truck driving in his lane on Dyer Road. Ganem lost control and went right into a nearby porch. Deputies are looking for that red pickup truck. Anyone who witnessed the crash or has information is asked to contact the Cumberland County Sheriff’s Office at 893-2810.